Treats at home or treats at the office or treats at school lunchtime or treats at college! You can go for Thursday treats today! I love Thursdays. You know why because it is the exact middle day of the week & near to Sunday. I remember when I was in college, Thursdays were happening. I used to go to movies in the morning after bunking lectures then straightway go to a burger shop. I & my friends are foodies so we used to explore new taste mostly on that day. 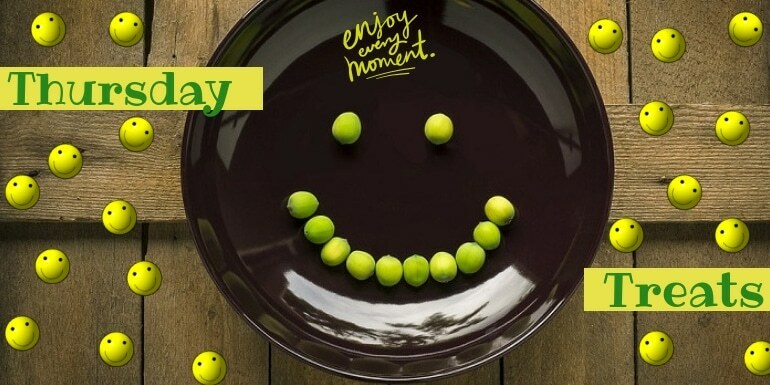 Thursdays are on relaxing mode & specially dedicated to food. So I thought let me give some food ideas to my much-loved readers. You can also consider these Thursday treat recipes in your house parties or kitty parties or family gatherings. Click the image to get the full view of Recipes. Lip smirking right? 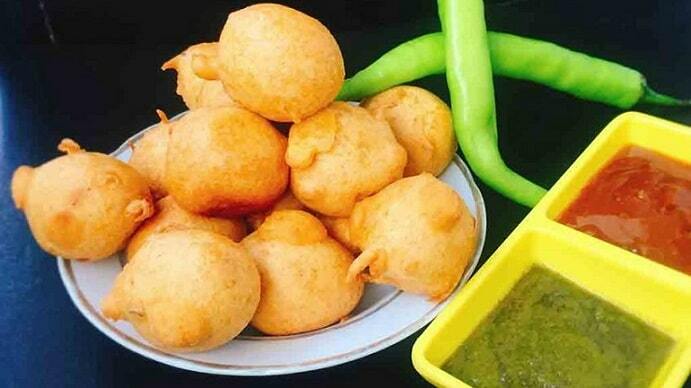 Surti Bataka Puri is all time favorite snack option for Surtis (People of Surat). It’s easy to make and perfect snack for your Thursday evening gup-shup. 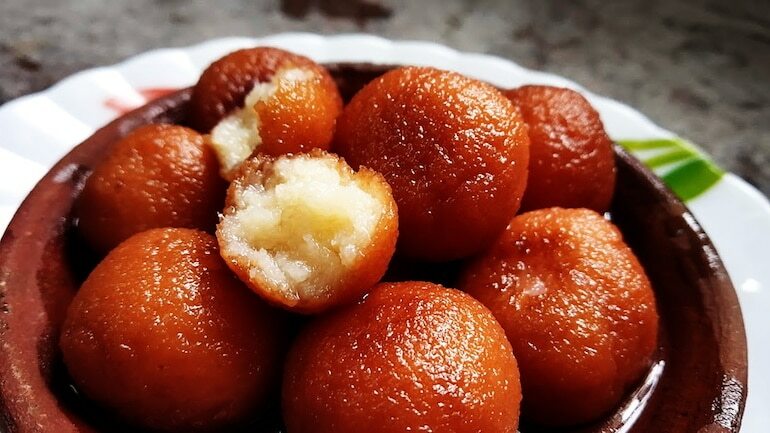 Bread Jamun recipe is a delightful and easy on-the-spot dessert made up of breadcrumbs. I bet you, it won’t take much time to prepare. The taste is stunning and unique from the normal Jamun. It’s not that I only want to you give you all Gujarati food recipes only but this one should come in treat list. This is an authentic Gujarati traditional food. Even if you go to movies in theaters in Gujarat, you will find this yummy tummy. 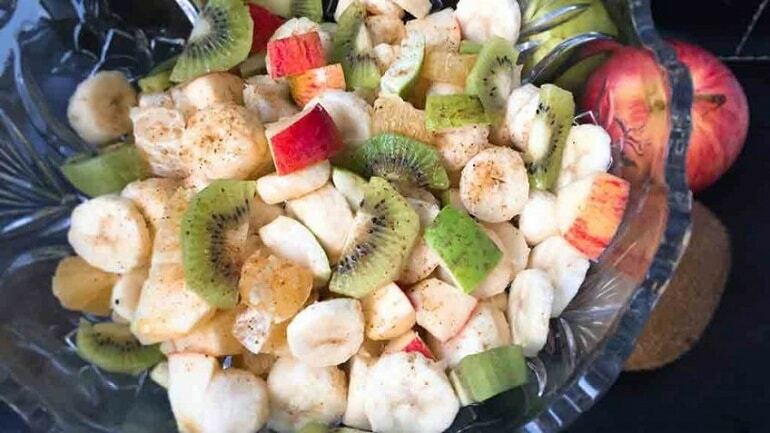 Fruit chaat is a delicious and refreshing salad and fruit dish, made by combining juicy fruits with Salt, Honey, Chaat masala and Black Pepper. Refresh your Thursday with this amazing fruit chaat! There is no specific recipe for Fruit Chaat because it changes with the season, geographical location or taste. A great choice for those who don’t want to spend hours in the kitchen. Great choice for kids lunch box or parties. I call it a no-fail recipe for beginners. Bread pockets are a wonderful snack and a great appetizer. Tasty Hakka Noodles is an Indo-Chinese cuisine and a popular dish at Chinese restaurants and stalls across India. Hakka Noodles is a mixture of boiled noodles, Chinese sauces, chicken boneless and veggies. This is our regular outdoor food. If you are going out to parks, seashores or amusement parks then you can easily carry it. They still taste best even if you preserve out for a few hours. Cheesy Russian Cutlet is an easy yet delicious recipe made with boneless chicken, mashed potatoes, and various veggies. It is not much spicy so good for a tender taste. I tried these Cheesy Russian Cutlets in Dubai at one of my friend’s house. It was really awesome. 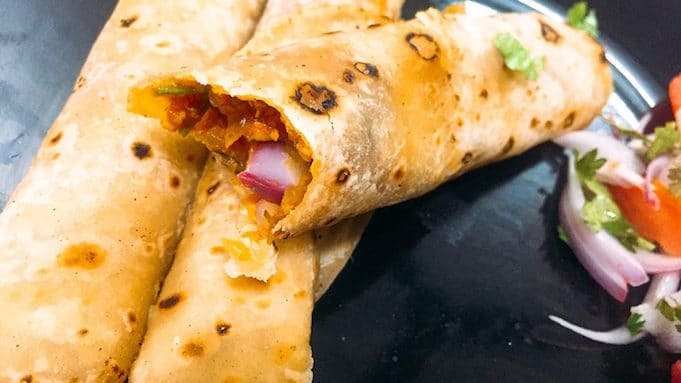 Pocket Pizza is an easy snack recipe made with readily available pizza base from the market and filled with your favorite veg or non-veg filling with mayonnaise and sauces. These pizzas will be a hit with everyone. These Pocket Pizzas are among my family’s favorite. Chicken Wontons are a delicious Chinese fried appetizer. Every bite is just delicious and bursting with yummy flavors. The preparation takes only 30-35 minutes including wrapping these delicious wontons. Cheesy Mince Tortilla Pie or the Kheema Tortilla Pie is satisfying and complete dish made with mutton mince, cheese, and ready-to-use spring roll sheets. The tastes of it are just something new to regular Indian Mughlai cuisines as there are no much spices. 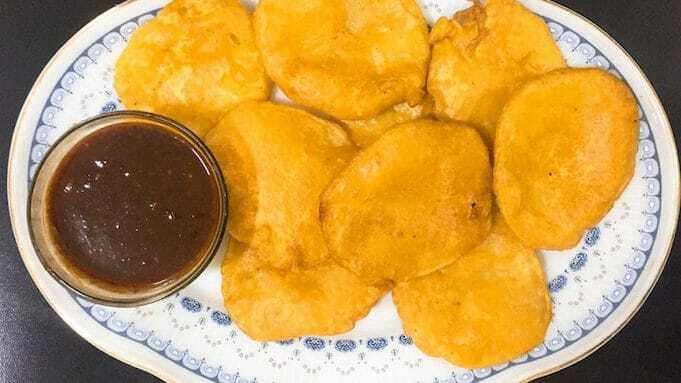 Onion Pakoda recipe is a popular simple and crunchy evening snack in India. 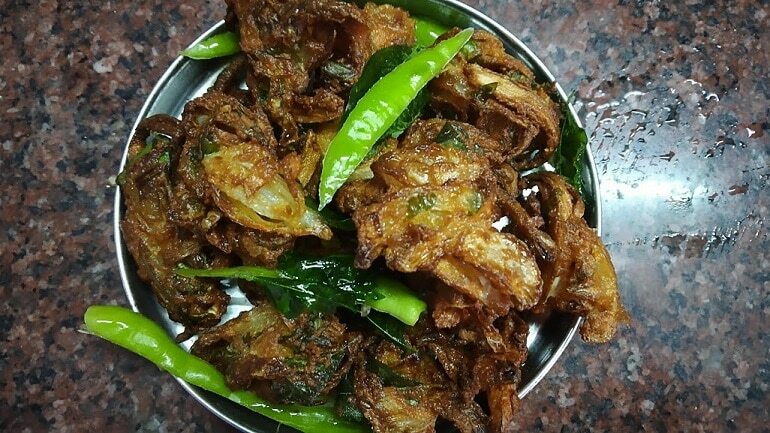 Onion Pakoda goes wondrous with a cup of hot tea or coffee which you can serve it on your much happening Thursday. This can never go out of fashion. So enjoy every bite of it. This lovely starter comes in many variants. You can make it complete veggie and also with chicken. Made with spring roll wrappers filled with yummy chicken and veggies mixed with Chinese Sauces. These crunchy and crispy spring rolls will be a perfect as it is not so heavy on the stomach. A sure-to-try recipe this Thursday evening. Frankie rolls are usually thought of as a French food due to its name. 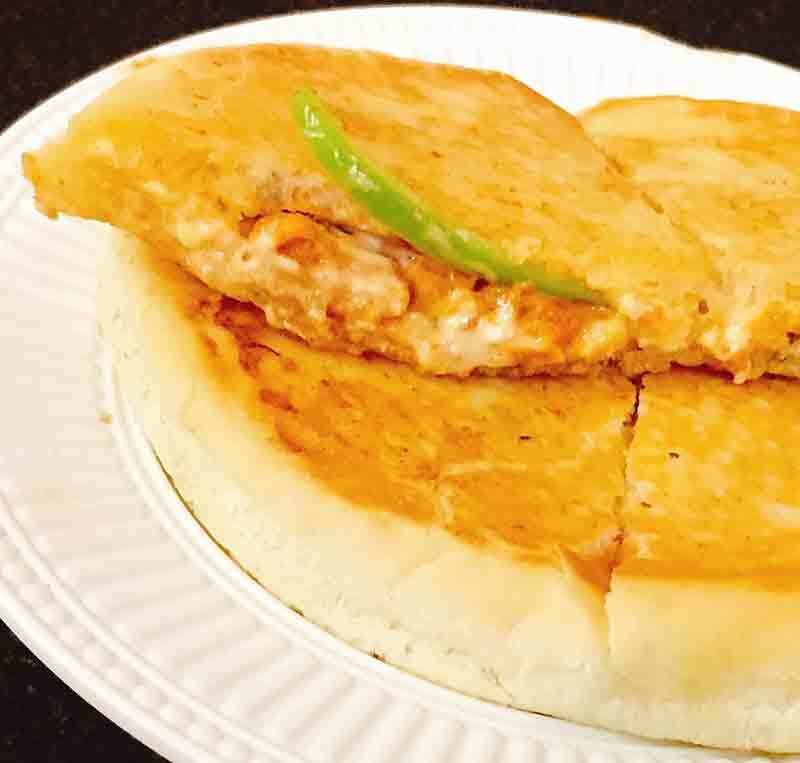 But the origin of Chicken Frankie Roll comes from the street vendors of old Mumbai during 1930. Chicken Frankie Roll is a fast food that can be served as a snack or a light meal. Appetizing Kurkure Chicken is a saucy and crispy starter that makes your taste buds crave for it again and again. Appetizing Kurkure Chicken can be a perfect choice for evening parties or gatherings at your home. Veg Manchurian, also known as Cabbage Manchurian. is an ultimately delicious Indo-Chinese recipe that will suffice your craving to eat something spicy. I still remember my college days. This was our favorite snack with friends in the evening as well as weekends. It’s a wrap now! Hope you really enjoyed the recipes. This was a special plan for you all so that you all can make your evening something happening or say I set you for today’s plan. Thank me later but first, check out all the recipes. Don’t forget to share the recipes & tag all your friends in the comment section whose favorite recipe listing on this!